As much as you probably have countless other projects around your home that need to be taken care of, don’t let regular maintenance of your garage door fall by the wayside! Otherwise it’s going to slow and be frustrating to deal with before you know it, as well as be at risk for a sudden break that leaves you stranded. Using your door when it’s parts aren’t in good shape creates strain on everything and causes it all to wear out faster, thus making further issues. Maintenance will stop this, as well as catch early signs of trouble to prevent your door abruptly no longer working. If your door is starting to drag when it moves and seems to take longer than it used to, it probably could use some lubrication! Lubricating the various parts of your door’s system will not only help it move far more smoothly to make things easier for you, but it can also reduce the risk of the parts breaking as well. Springs in particular tend to get brittle over time without proper lubrication, so ensuring that they receive it periodically will help keep them flexible! The important safety sensors of your garage door can get bumped or tweaked over time and throw them out of alignment, and that can be a huge risk to anyone near your door when it’s closing. The safety sensors are what tell the door to reverse if something is beneath it while it’s coming down, which is why they’re so important. Our experts will thoroughly test them to make absolutely certain they’re correctly positioned and working to keep your family safe! That way you can rest easy again. You’ll only regret not contacting us sooner to take care of all your door’s needs! 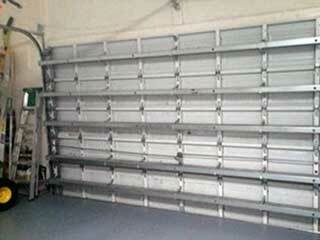 Just contact Garage Door Repair Las Vegas today and get your appointment scheduled in no time. You’ll be glad that you did!